Fumba Beach Lodge is located only 30 minutes from Stone Town, and is therefore an ideal starting point for excursions and day trips. We offer a wild variety from guided tours, which can all be booked in advance or at the lodge reception. A few of our excursions are highlighted below. Travel back in time to historic Stone Town; as you wander amongst the souk-like alleys you will see a fusion of Omani, Persian, African and European cultures. Children peer from behind ornate carved studded teak doors; tread where explorers Livingstone, Speke and Burton once walked. From the ancient steady mosques to the tiny stalls selling crafts, antiques, clothes, bags, jewelry, sculptures, paintings and material…. Mingle in the markets weaving between piles of Zanzibar’s famous spices: cardamom, vanilla, ginger, nutmeg, and of course cloves. Our tour includes a visit to the town market, the old slave market, the National Museum, High Court, Slave Chambers, House of Wonders, Old Fort, Sultan’s Palace, Livingstone’s House and the Former English Gentleman’s Club. The forest, 35km southeast of the capital Stone Town, is the island’s only remaining complete forest. With evergreen thickets, mangrove boardwalks, succulents and broadleaf varieties, the forest is a botanists delight. Jozani Forest has a rich diversity of flora and fauna, with a huge variety of wildlife in and around the forest. 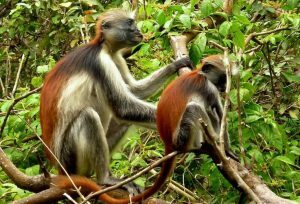 There are large troops of the rare endemic Red Colobus Monkeys (Procolobus Kirkii) one of the most endangered monkey species in the world. Just down the road is the pioneering Zanzibar Butterfly Centre. Providing income for local farmers – who previously relied on mangoes and were over farming the forest- this small but delightful centre provides pupae to butterfly collectors globally. It generates valuable sustainable income for the farmers, and re-skills them. Next door is the Zala conservation park, a private conservation and education project, with details of the indigenous animals of the region. A small contribution is required on entrance to both places. The best times to visit are early morning or dusk, and the forest is at its most abundant between May- July and December – January. Zanzibar has always been an important trade location for Spices. Its location in the India Ocean was deemed ideal for the spice trade worldwide. The trade in spices between India, the Middle East, Africa and Europe became even more important to the economy of Zanzibar after the slave trade was made illegal. 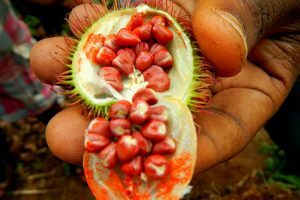 Our spice tour will give you the chance to visit one or more spice farms growing a variety of key spices to Zanzibar such as Cloves, Chilli, Nutmeg, Cinnamon, Pepper and Vanilla. You will learn about the uses of the different spices, their history on the island, how they grow and best of all be able to taste them. If you wish you will also be able to buy them direct from the farms. While you will be taken right into the heart of the Island to the spice growing area, there is more to discover other than spices .During the tour you will also encounter a selection of tropical fruits and depending on the season try some of these such as the wonderful coconut with its refreshing milk and sweet flesh or the exotic Rambutan. The spice tour guides will also teach you about the many other uses both cosmetic and medicinal for spices and herbs seen at the farms like the shampoo plant or the iodine plant. 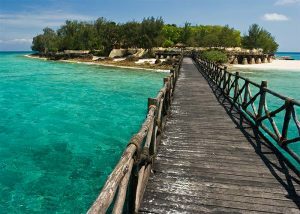 Also known as Changuu Island, is situated only 20 minutes by boat from Stone Town. The Island was originally used as a Prison then later it was turned into a quarantine station for British Army. Although a newer prison was later built on the island it was never used.The Island has sandy beaches and is covered in lush vegetation making it prefect habit for Island and sea birds. The surrounding sea offers some lovely opportunities with beautiful coral formations. The island is perfect for nature lovers.The Islands most famous inhabitants are the giant tortoises. These endangered animals are not native to Africa but to the Seychelles and Galapagos Island. Originally the Prison Island tortoises were brought from Aldabra in the Seychelles to help increase the conservation efforts by starting a new breeding population. Tortoise populations started to decline many years ago when sailors used to collect them to carry on the ships as a fresh protein source as the tortoises could survive many weeks or months without food. Unfortunately, these days the tortoise decline is due to habitat destruction and poaching. 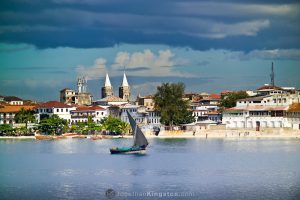 Zanzibar, with its strategic and geographic location East of Tanzania, has been receiving guests, invaders and traders for thousands of years. Since the abolition of the Slave Trade in the late 19th century (though it continued illegally for years after) clove export is at the heart of Zanzibar’s enterprise. 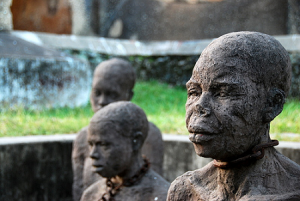 The Mangapwani Slaves Chambers were used for storing hundred of slaves during the illegal period, awaiting the monsoon period and the arrival of the dhows to be shipped away from their homes. After visiting the caves you will have time to relax on the golden sands of the beach. © 2019 - Fumba Beach Lodge, Zanzibar.